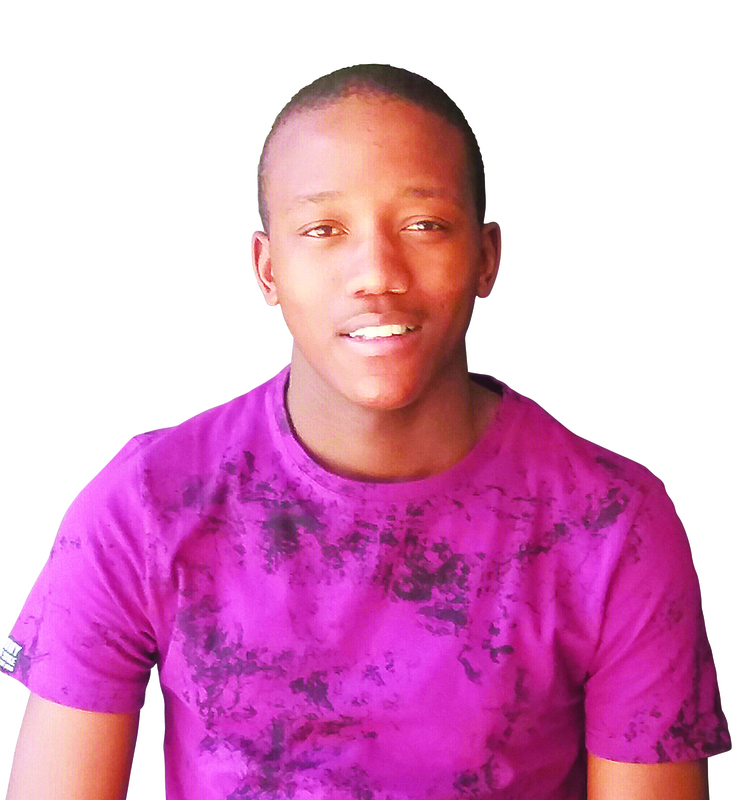 Thembinkosi Johannes Manyeruke is from Gauteng.He is studying BSc Mathematical Statistics at the University of Pretoria. Tell us a bit about your school. I went to Tsakane Secondary School situated in the East Rand. It is a great school with dedicated staff members and led by one of the best principals, Pearl Ngcobo. The staff work tirelessly to assist their learners in passing with good marks. Part of my motivation came from my teachers and the principal. It’s a school that has always had a high average, highlighting the good work done by the teachers and principal. I had a wrist injury in Grade 11 making my writing pace became slow. As a result I became doubtful about ever getting good marks again. Unfortunately, I couldn’t get concession for extra time. This was still a huge challenge in grade 12. My family, teachers and principal motivated me to never lose hope and to continue trying to improve my writing pace. My pace did not improve by that much but it was just enough to get me through my exams and I manage to finish writing most of them. At the end of it all, I got good marks which was all I wanted. Why did you enjoy science and mathematics? I loved maths from an early age; my mother used to teach me maths even before I started school. Maths is something I grew up with, all thanks to my mom, and so I easily became passionate about maths. As for science, when I was doing Grade 8, I was convinced that I’d go into commerce. All that changed when we started doing more interesting things in Natural Science on the last term of Grade 9. I decided to take a chance and go into science and that is one decision I do not regret making. I enjoy maths and science because they are challenging subjects and I’ve always loved challenges. Above and beyond that, I believe that they unlock new discoveries and they allow one to be able to choose from a vast number of interesting careers out there. Science and maths are beautiful and interesting to another level, everything around us can be explained using science and maths. My parents were willing to support me in any subject I chose and so were my teachers. My Grade 9 maths and class teacher, Mrs Mashiteng, made me love maths more with her wonderful methods of teaching. She also suggested that I go into science. The final decision to go into science was made by me and no-one forced me to do science. My role model is Dr Pali Lehohla. Being a top student or passing with distinctions is not easy at all and it does not happen overnight; it takes time. The learners need to study consistently, but truth is consistency without the right study method is pointless. Learners need to find the right study methods for them. Life Orientation teachers can be very helpful with helping learners discover the right study methods for them. Find the right study method, be consistent, and always ask for help when you feel the need to be helped. After all there are many people out there who are willing to tutor, all it takes is for one to ask for help. I’m inspired by the works of Statistics South Africa in producing statistical research that helps different sectors and industries. The previous Statistician General for Statistics South Africa, Dr Pali Lehohla, is the gentleman who inspires me. Two of the most fascinating things about him are his amazing qualifications: BA with a double major in Economics and Statistics and all the positions he has held. My mom (Badanile Betty Khoza) and my dad (William Bafana Manyeruke) are my biggest inspiration as they’ve raised me to see the importance of education and be the person I am today. What advice do you have for matriculants who have to apply for places at higher education institutions? The most important thing is choosing the right tertiary institution. People tend to choose universities based on the ‘status’ of the institution. That’s not all there is to education. It is important to enrol in an institution that specialises in the course you are interested in doing. It is important to attend career expos as you are given information about different careers. Always be open to suggestions but the final decision should be taken by you. There are many companies willing to fund learners, all that is needed is to get good marks. It is important to apply to a number of bursaries in order to increase your chances of getting funding. Why did you choose the course you are studying now? I am doing Mathematical Statistics. I love statistics – I’m more than passionate about statistics. I love the fact that I will be exposed to different sectors and industries. With Mathematical Statistics, I can make a difference in my country as Dr Pali Lehohla has done. I’d love to make statistical reports that can provide a breakthrough in the South African state of things, mostly in the economic (financial) and health sector. People usually measure/judge being an achiever against other people’s achievements. The truth is being an achiever should be measured by improving your marks and doing better than you did before. That is actually the first step to achieving your goals – forget about other people, focus on improving your marks and reach for your targets. As helpful as it is to reflect on other people’s marks, it is more important to reflect on your progress for personal growth and personal motivation. We, as the youth, need to realise the importance of education. That realisation will lead to SA improving, especially now that we are facing recession. As cliché as it sounds, education is the key to success. Education is the tool we need to use in order to build a better South Africa for ourselves and the generations to come.